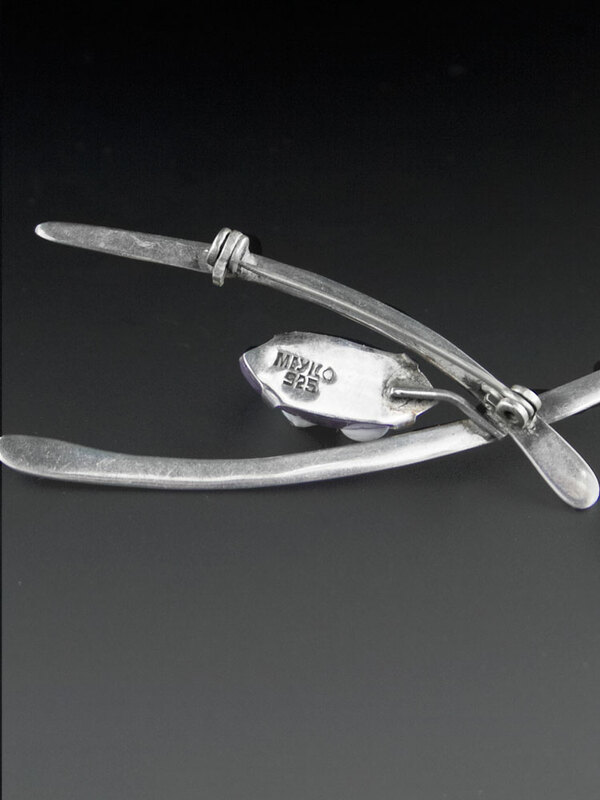 Lovely long and elegant, 1980's made, hand crafted Mexican silver vintage brooch. 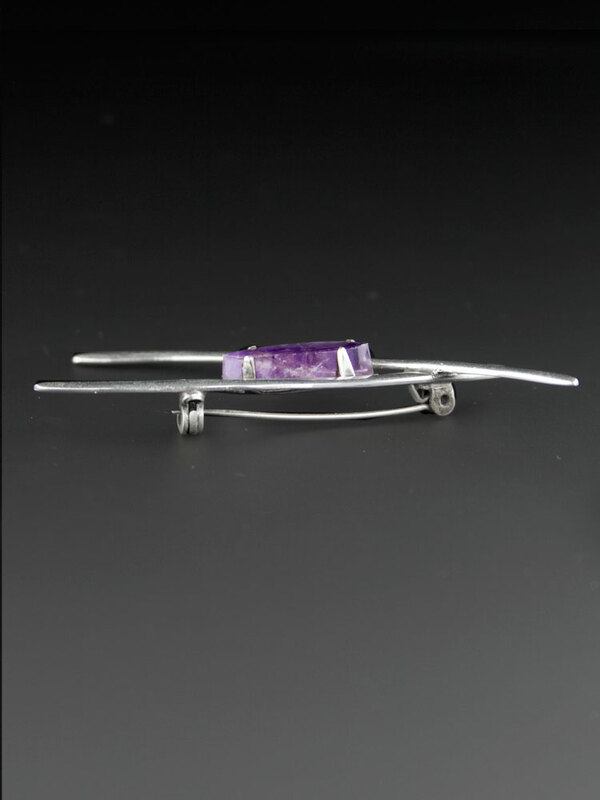 Two long slender crossed silver bars, rounded and soft to the touch with a beautifully carved amethyst oval, tapered at each end. 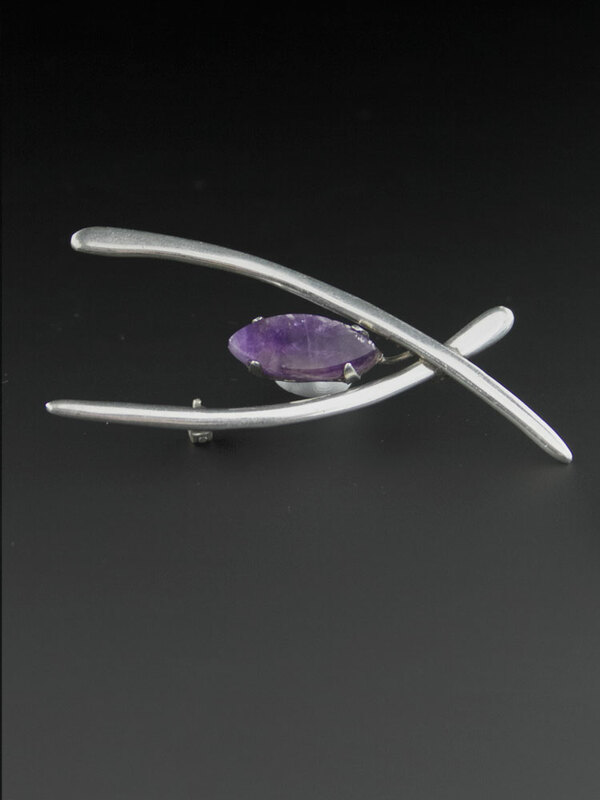 Can be worn facing any direction - quite a large sterling silver brooch, but slender in design, a lovely piece of Mexican jewelery.